Dimensions 1 by 8.75 by 11 in. Management; Study and teaching (Higher). Management education is currently adapting to several societal changes. Due to increased workload and outside pressures heaped on students, business education programs are undergoing a unique transformation to keep up with shifting industry expectations. 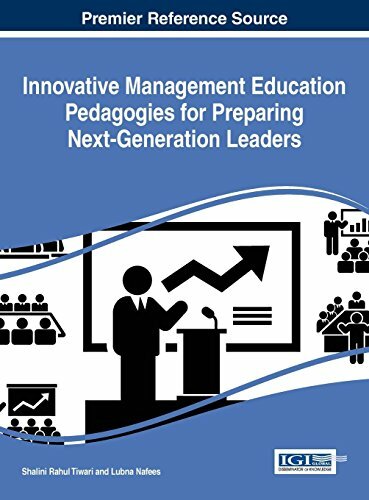 Innovative Management Education Pedagogies for Preparing Next-Generation Leaders facilitates the discussion on a variety of teaching methods and practices being used in current business education programs. Highlighting the ways that technology can be used to aid students in the advancement of their studies as well as career development and preparation, this text covers a range of topics, from leadership expectations and workforce requirements to electronic course materials. The timely research-based practices and methods included in this publication are beneficial to school administrators, instructional designers, instructors, and researchers in the fields of business and higher education. About: Management education is currently adapting to several societal changes.